Human babies are born into the world unable to do things for themselves. Alone, a baby has no way to feed herself or get from place to place. A baby’s survival depends on the presence of another person, a caregiver. For this reason, the need for connection and relationship is as strong for babies as is the need for food. This need for connection is hard-wired into humans and is present from birth. Attachment is the biological process in place to establish this critical relationship. When babies are born, they already prefer the voice and smell of their mother. Babies also prefer to look at faces and spend time gazing at their parents and other caregivers. Babies cry to signal their need to their caregiver. This is the beginning of language. For babies, this attachment relationship shapes future learning and provides a model for all future relationships. For babies to form a secure attachment, caregivers must attune to the cues of the baby and respond. Attunement is the dance that caregivers and babies do. Baby smiles. Mother smiles back. Baby coos. Dad coos back. Baby covers her eyes and grandma joins in a game of peak-a-boo. These are the little interactions that go on hundreds of time every day that give the baby a foundation of trust and confidence to build on for the rest of life. Through warm and predictable back and forth interactions the baby learns that what she does impacts the world around her. She also learns that she can trust her caregiver to come to her when she cries, feed her when she signals she is hungry, and hold her to calm her when she is feeling overwhelmed. When baby feels this trust that needs will be met, the brain is ready to develop the prefrontal cortex, the part of the brain that is responsible for executive function. That is the part of the brain that is responsible for reading, logical reasoning, and problem solving. When there is no attunement or it is not consistent and predictable, babies are distressed. They do not learn that they can have a predictable impact on their world and are left in a dysregulated state. In this state the baby experiences high levels of stress. Babies do not have the ability to regulate on their own and must rely on the caregiver for coregulation. 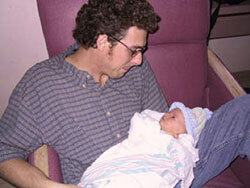 Coregulation occurs when a baby cries and is soothed by their caregiver. Through this process of coregulation, the baby gets the experience of calm and soothing from the caregiver even when distressed. This experience of calm with the caregiver, then begins to build neural pathways to calm when distressed that will eventually become the capacity to self-soothe and self-regulate when the child is older. Without these experiences, the baby is unable to learn this vital skill. In a state of dysregulation that is not coregulated by a loving, nurturing caregiver, the baby’s brain spends much energy in survival mode and is not as available to learn other things and development suffers. Watch some of our favorite educational videos on love. Ed Tronick, director of UMass Boston's Infant-Parent Mental Health Program and Distinguished Professor of Psychology, discusses the cognitive abilities of infants to read and react to their social surroundings. Attachment experts discuss why bonding with baby in the first few years of life is so important to a child's cognitive and emotional development. Short documentary part on the controversial studies performed by Harry Harlow and his assistants. Sensitive caregiving is the extent to which a parent (or primary caregiver) responds to a child’s signals appropriately, promptly and in a nurturing manner. The primary caregiver remains positively involved during interactions with the child, and provides a safe and secure base for the child’s exploration of the setting. Attunement is being in harmony with your baby. It is the dance that babies and their caregivers do. It is an understanding of what baby needs in this moment and providing what is needed in a sensitive and nurturing way. If you always go to your baby when he cries, won’t you spoil him? No. You cannot spoil a baby. Babies are unable to meet their own needs and rely on their caregivers to feed them, change their diaper, and keep them warm. Just as important, babies rely on their caregivers to provide a relationship or coregulation when they are distressed. The more the caregiver is there to meet the emotional needs of the baby as well as the physical needs, the more independent that child becomes. Sometimes it takes time for me to figure out what my baby needs. Will she still have a secure attachment if I don’t get it right every time? It is the overall quality of the relationship that matters. No parent or caregiver is perfect and responds in sync with every cue. The important thing is to pay attention to your baby and notice their reactions and responses and adjust your behavior to fit your baby’s needs. Relationships with babies are like other relationships in that it takes time to get to know each other and all relationships require repair. Written by Becky Bailey, is full of activities that parents, grandparents, teachers and any other caregivers can do with children to build connection into daily routines. Description: Babies love music and when you sing to your baby, it is a love song just for her. Look baby in the eyes and sing. Any lullaby, love song, or silly song will do. Your baby loves your voice and no matter what you think of your singing, your little one is getting a private musical performance from the biggest super star in his world! See these toddlers light up with this song. Description: Put on your favorite music and dance. With a little baby, hold her close and sway or turn around. By the time a child reaches one year, they can join you with their own dance moves. A dance party is also a great way to change up the mood when your child, you, or both are feeling stressed or upset. Just put on the music and move. Watch this video of Jennifer Lopez and Jason Derulo copy the toddler’s dance moves. Doing what the child does, makes a child feel so important and confident! Try this at home, and if you just want to see more hilarious clips there are many more toddlerography videos to enjoy. Description: It sounds strange to read to a baby, but it can be a wonderful, rich experience that ignites your child’s curiosity for reading that will last throughout life. It’s not about the book you choose or getting through all the words and all the pages. It’s about your baby having a positive, sensory experience with you and with books. Board books are a good choice at this stage because little ones can grab them, mouth them and explore them without destroying the book. Babies also feel secure with routines so reading the same book over and over again is actually ideal for them even if it feels a little repetitive or boring for you. Watch how your child responds to the book and let her grab it if she reaches for it. Follow her curiosity as she explores the book and enjoys the time with you. Before long you will likely have the words memorized and your older toddler and preschooler may be able to recite the story too. The more positive experiences like this you create with your child, the more your child feels secure in your relationship and is ready to explore and learn. 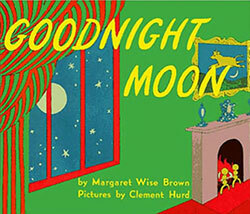 Try Goodnight Moon by Margaret Wise Brown. It’s a wonderful wind down story at bedtime or naptime and toddlers begin to learn the story and enjoy saying goodnight to all the characters in the story. Description: A massage can help people of all ages to relax. For babies, touch provides important information for their brain about their bodies. Touch is a critical vehicle for connection in humans and it is easy to incorporate loving touch into your routine with your little one. Description: This one might seem a little silly since your baby won’t talk to you at first, but babies want to be included in our world. The more you talk to your baby, the more words your baby will have in the future. 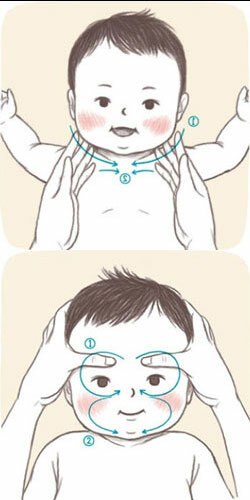 Eye contact is important in this so look your baby in the eye and talk to your baby. Your baby will appreciate it.